The RSPCA Patcham fun day in July was a resounding success. 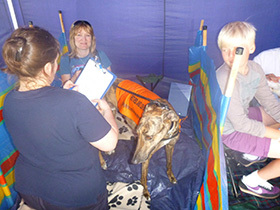 The HAO tent looked mighty impressive with students from the Diploma course offering healing to dogs and their carers for a £5 donation. 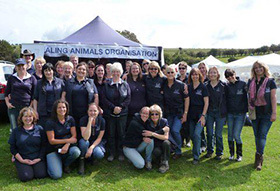 With over 40 animal healings undertaken and hundreds of pounds raised for the RSPCA students loved the opportunity to gain more healing experience and liaise with the public over the benefits of healing and brush up on their face to face communication skills. I felt very privileged to represent the Healing Animals Organisation when I was asked by the RSPCA to judge the best bull breed.